Relax in NEVER-LIVED-IN LUXURY just 20 minutes from College Station and 45 minutes NW of Houston in Historic Navasota! Just off Washington Ave, seconds from Blues Alley & historic Downtown Navasota, with the renowned Pecan Lakes Golf Club IN YOUR NEIGHBORHOOD! 3-CAR GARAGE! HUGE GRANITE ISLAND KITCHEN!SMART HOME AUTOMATION, FULL SPRINKLER SYSTEM, 2FAUX WOOD BLINDS THROUGHOUT, NO BACK NEIGHBORS! 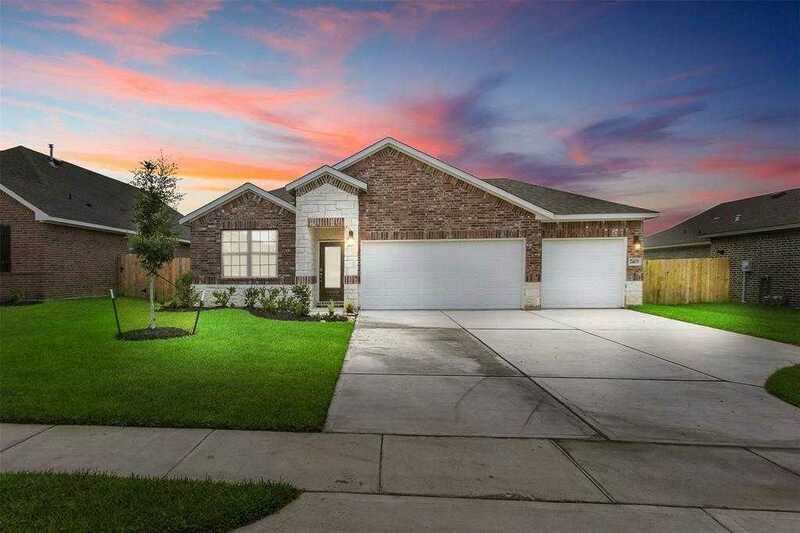 4 big bedrooms, SOARING CEILINGS in the family room and master bedroom, gorgeous laminate wood floors, covered patio, and a sprawling back yard!Estimated 5/31/2018 completion! ESCAPE to country charm & relax in style — EVERY DAY! Golf membership is NOT required to live in Pecan Lakes!! Get out here NOW before it’s gone!